Lindsay Lohan has been taking a cocktail of prescription drugs, according to a probation report released yesterday. The troubled Mean Girls star has been sentenced to a whopping 90 days behind bars for violating the terms of her probation, and drinking whilst wearing an alcohol monitoring tag. And now court papers have revealed the star is taking a potent cocktail of prescription drugs, reportedly issued after dental surgery. According to US website TMZ, Lindsay is taking a range of mixed medicines, with one of the painkillers, named Dilaudid, often compared in strength to Morphine. 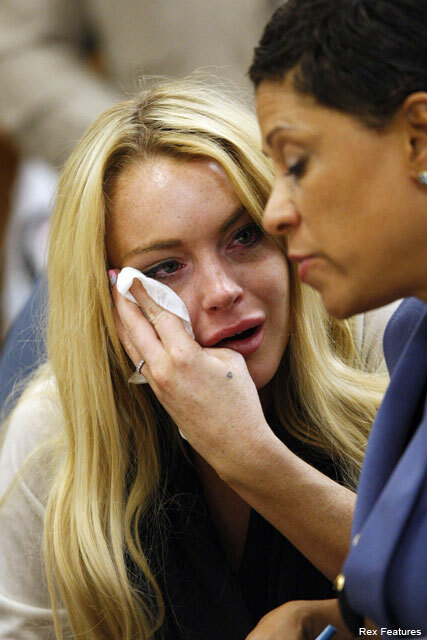 Despite the severity of the painkillers, Lindsay will still legally be allowed to pop the pills in prison. But her estranged father, Micheal Lohan has told how the star is addicted to the potent medication. ‘You know why Lindsay’s not acting in feature films right now? Because she can’t,’ he said in an interview last year.